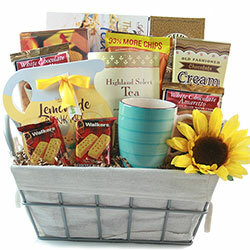 Tea gift baskets are making a comeback and our tea baskets include some of the finest teas available! 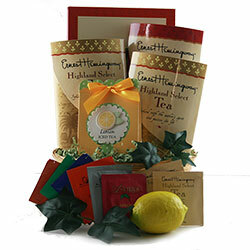 Tea selections include Lemon Iced Tea and Ernest Hemingway Tea. 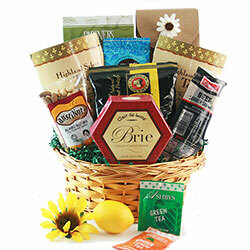 We also offer a fine tea assortment collection: The Joy of Tea includes Apricot, Raspberry, Japanese Green, English Breakfast and Cinnamon Plum teas. 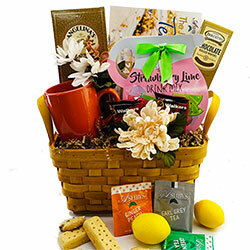 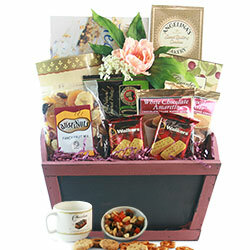 Paired with an amazing selection of gourmet cookies, biscuits and biscotti, you’re sure to find the perfect Tea Basket!